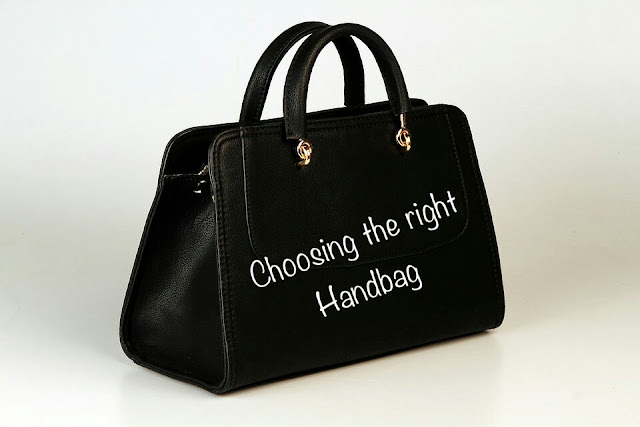 A handbag is an everyday essential to most women and there are so many different options to choose from. Whether you need a bag for everyday, an evening bag or a clutch for a special occasion there is a bag out there. Not only are bags practical for carrying items around but they are also a fashion statement. Will you be using the bag for everyday, for evening, a special occasion? for travel? It's important to have an idea of what you want to use the bag for so you can choose the right type and size. You may even decide that you need more than just the one bag. Do you need a bag that fits loads in? or do you only need it for a few essentials? such as your purse, phone and keys. My everyday bag for example is a medium size tote as I need a bag that's not just going to fit in my phone, keys and purse. My bag also has to fit other items such as a book, a small toy for my son as well as a few other bits and bob's I feel i'll need on a day to day basis. I do also own a few smaller bags for when I'm out and about on my own and don't need to take a lot with me. My evening bag for example is a clutch that fits my phone, keys, card holder and a lipstick as I don't need to carry much else. When I buy a new bag I tend to go for black as the colour goes with everything and is a timeless classic. For me when choosing a new bag I want it to go with everything in my wardrobe as I can use the bag again and again.Tan and navy are also classic colours that go with a range of outfits. Sometimes though you may need to get a bag that's going to match your outfit especially if its for a special occasion. I prefer leather bags but you can also get bags in straw, canvas nylon, and plastic.I prefer leather bags as I have found that they last me well and still look in great condition years later if looked after well. When I'm on holiday I prefer a canvas bag although straw beach bags are also a great maternal . When it comes to buying a new bag I always have a budget in mind for how much I can afford to spend. I also like to look up the latest deals as I love finding a bargain. I think its so important to stick within your budget but also look out for a great deal. Last of all a clutch is a great bag for evening or for a special occasion that you can carry with your hand or tucked under your arm. These bags are usually made with fabrics such as silk or velvet to give them a formal look.